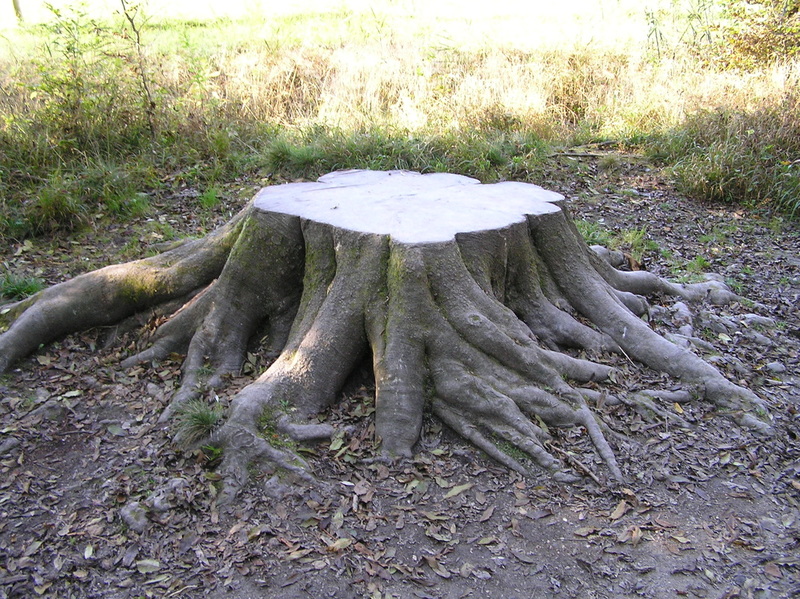 Let us get rid of our stump with our very cheap stump removal service. There really isn't much to this thing on getting rid of a stump. Except that a lot of people try doing this on their own. Were here to educate you that it will be about the same cost to hire us. If you rent a stump grinder and follow the diy stump removal instructions you are going to have to pay from $90 to $160 and that is being conservative. If your rent a gas grinder it's going to cost you more plus fuel. Also, these machines are beastly. They can weigh around half a ton on average. Unless you are MR. T off the A team then you are going to need a couple people to lift it. ​ If your doing a few stumps then try and plan your day out. These things take time to grind down. The ones that come from deciduous trees usually take longer than the evergreen trees. The surface roots can be tough to get as well and may require some additional technique. Now that you have the grinder rented you have to factor in your time. Go get it, load it, do the job, and taking it back. Most people would have to learn to use the stump grinder as well. Seems like a bunch of work when you can hire us for real close to the same cost depending on your location and the size of the stump. If you need the stump removed in Evansville or surrounding areas we would be happy to give you a cost. Sometimes we can give you a cost over the phone if you would text us a couple pics showing the stump and what kind of access we would have to it. Now remember I said sometimes. It may also include factors that we cant get from the picture. That would mean that we would need to come out and take a look to give you a cost. It's like most services, if you are the guy that wants to put in a hard days work on a Sat after working all week at your job to maybe save a few bucks, then by all means go get-r-done. However most people would like to have us do the job because we are out in the trenches everyday doing these same jobs. It gets easier and quicker with experience. Please feel free to give us a call at 812-420-1835 so we can take that stump removal off your hands and get your yard looking like a brand spanking new landscape.